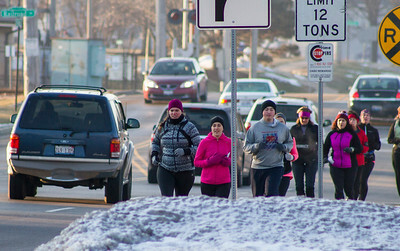 Mike Greene - For Shaw Media Members of a running club cross the intersection of Walkup and Route 176 during an event Saturday, February 6, 2016 in Crystal Lake. 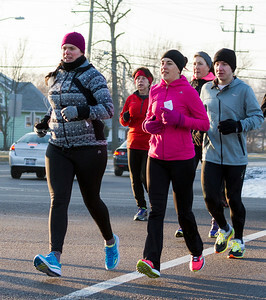 Members of the group take precautions when running near traffic by traveling in groups and trying to avoid areas of congestion. 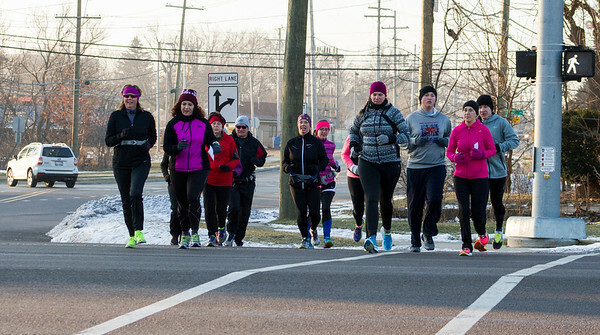 Mike Greene - For Shaw Media Members of a running club run as a group down Walkup near Route 176 during an event Saturday, February 7, 2016 in Crystal Lake. Members of the group take precautions when running near traffic by traveling in groups and trying to avoid areas of congestion. 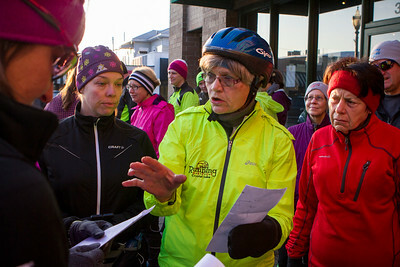 Mike Greene - For Shaw Media Dee Budelier, coach at The Running Depot, explains the route for a training program during a running club event Saturday, February 6, 2016 in Crystal Lake. Members of the group take precautions when running near traffic by traveling in groups and trying to avoid areas of congestion. Mike Greene - For Shaw Media Members of a running club avoid areas of ice and snow by running on the road Saturday, February 6, 2016 near the intersection of Walkup and Route 176 in Crystal Lake. 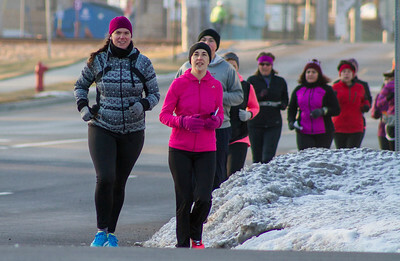 Members of the group take precautions when running near traffic by traveling in groups and trying to avoid areas of congestion. 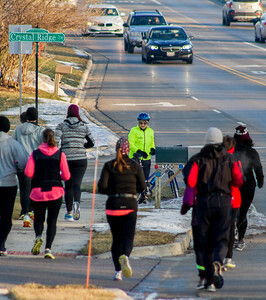 Members of a running club cross the intersection of Walkup and Route 176 during an event Saturday, February 6, 2016 in Crystal Lake. Members of the group take precautions when running near traffic by traveling in groups and trying to avoid areas of congestion.